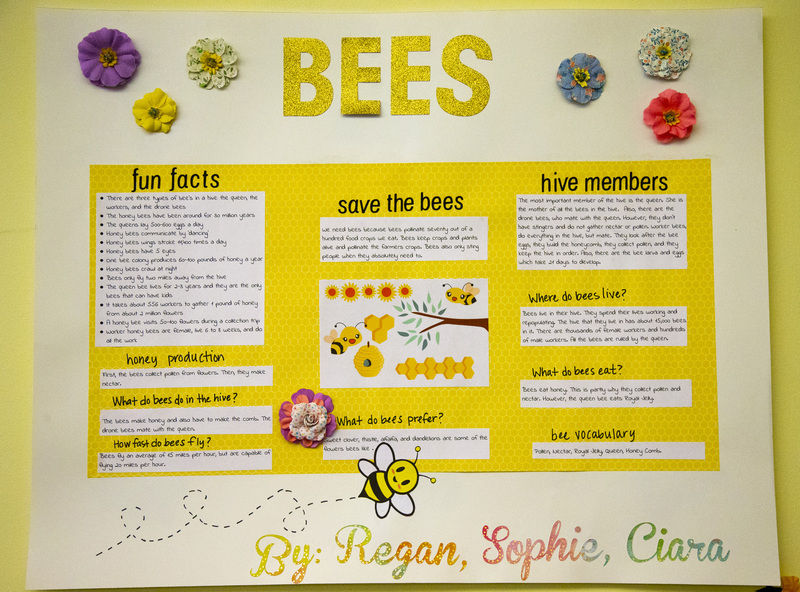 A fact sheet about the ecological benefits of honeybees is displayed May 24 and placed next to an observational beehive located in the library at St. John Fisher School in Portland, Ore. (CNS photo/Chaz Muth) See PORTLAND-SCHOOL-LIBRARY-BEES June 7, 2018. 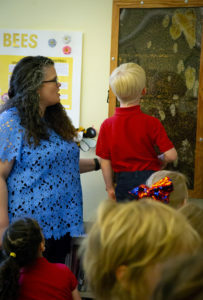 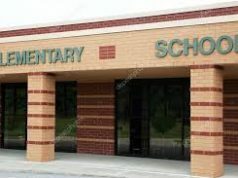 PORTLAND, Ore. (CNS) — It’s not unusual for kindergartners to fear bees, but the little ones at St. John Fisher School in Portland flock to a buzzing beehive in their school’s library to get a close look at the flying creatures with stingers. 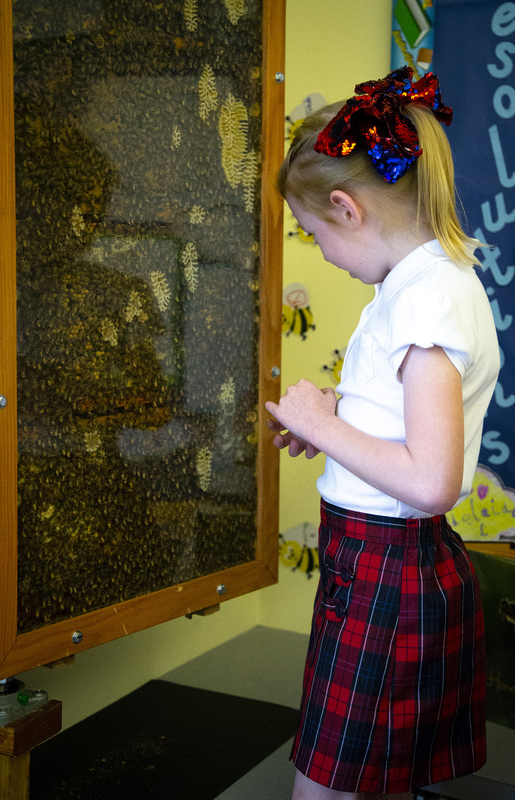 A kindergartner stands on a chair May 24 to get a close-up view of honeybees working in an observational hive located in the library at St. John Fisher School in Portland, Ore. (CNS photo/Chaz Muth) See PORTLAND-SCHOOL-LIBRARY-BEES June 7, 2018. Kindergarteners line up May 24 to get a close-up view of honeybees working in an observational hive located in the library at St. John Fisher School in Portland, Ore. (CNS photo/Chaz Muth) See PORTLAND-SCHOOL-LIBRARY-BEES June 7, 2018. The bees were donated to the school by Costa Oro International, a Portland coffee bean distributor. 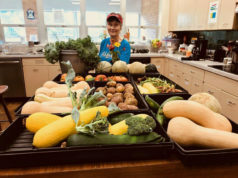 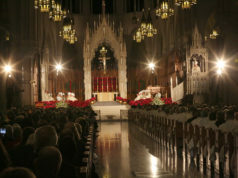 The connection to the school comes through owner and founder, Arianna Hartstrom, who is a parent of students at St. John Fisher.